How do I scan to a SharePoint server or cloud service? 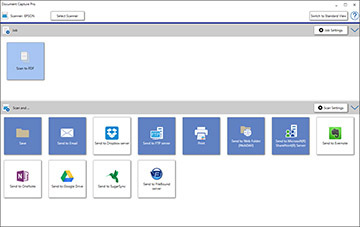 You can use Document Capture Pro (Windows) to upload scanned images to a SharePoint server or a cloud service. Click the Scan Settings button. Note: If you do not see the button, click the < symbol in the Scan and... bar. Click one of the cloud server or service destination icons in the Scan and... section of the window. 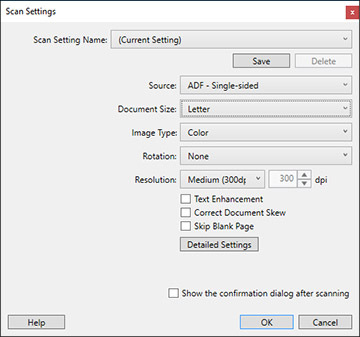 Your product starts scanning and you see the settings window. Note: If you cannot see all of the icons, the service software may not be installed or the service may not be available on your platform. Enter any required information to set up the destination. You may need to log in to your cloud service to authenticate the connection and allow Document Capture Pro to access the cloud service. If you have previously created a saved setting for the destination, select it from the drop-down list. Adjust any settings and click OK. Your originals are uploaded to the indicated server or cloud service. You can use Document Capture to upload scanned images to a SharePoint server or a cloud service. 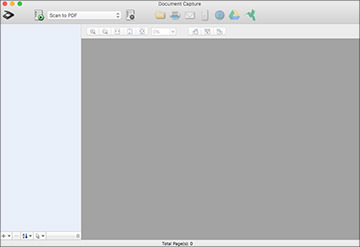 Click one of the cloud service Destination icons to choose where to save your scanned file. (If you cannot see all of the icons, the service software may not be installed, the service may not be available on your platform, or you need to click the arrow next to the icons.) You see the Transfer Settings window. Enter any required information to set up the destination. You may need to log in to your cloud service to authenticate the connection and allow Document Capture to access the cloud service. If you have previously created a saved setting for the destination, select it from the drop-down list. Adjust any save settings, then click OK or Send, depending on the destination. Your originals are scanned and uploaded to the indicated server or cloud service.